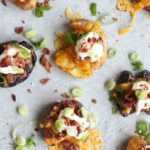 These Healthier Loaded Crispy Smashed Potato Bites taste just like a loaded baked potato but better! Instead of using sour cream, they are topped with Greek yogurt, so they’re a little lighter! Perfect for snacking or for serving as an appetizer at your next party! Healthier football food. Yes, it can be a thing. 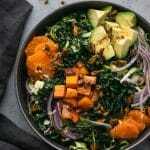 Healthier football food that tastes amazing? That would be these bites. 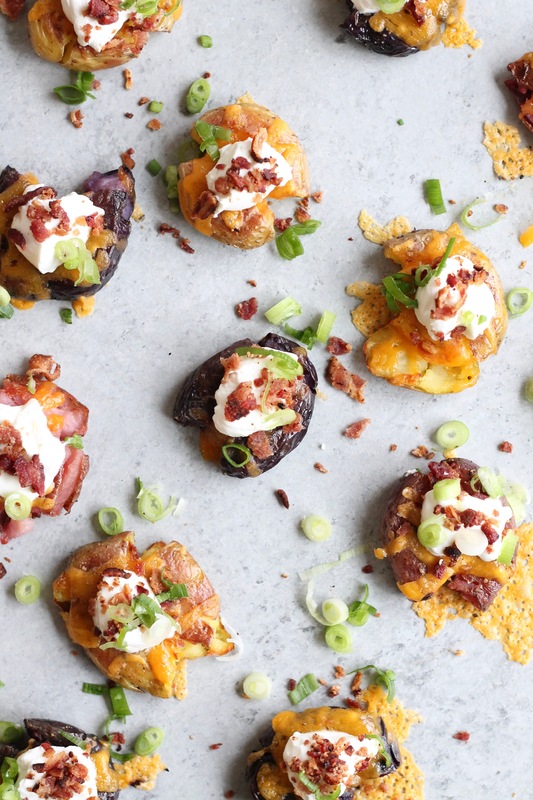 I cannot get over how good these are and how much they taste like the loaded potato skins you’re probably thinking about. First of all, this method of making crispy smashed potatoes is INSANELY addicting. I’m obsessed. My mom and I ate an entire sheet-pan’s-worth in minutes. They’re too good. They even made an appearance as a rosemary garlic version for a Christmas dinner side. All you do is par boil the potatoes until they’re just barely fork tender, and then smash them with the bottom of a measuring cup or flat-bottomed cup, and roast the heck out of them until they’re crispy on the outside, and creamy on the inside. So amazing. As if they couldn’t get any better, I covered them with cheddar. And then topped them with a little Greek yogurt, bacon, and scallions. Incredibly simple, but such a delicious combination. They’re waaaay lightened-up, and you’d never know. I tend to use Greek yogurt in place of sour cream and mayo in so many recipes, and I actually like it better. The tanginess adds something special. Feel free to customize these however you like. They would be amazing with other herbs, cheeses, even salsa, avocado, and black beans to make more of a Mexican version, etc. Get creative with it! Football food season is the most fun. It’s just too fun to snack and eat a bunch of different bites of things. Who’s with me? I could seriously snack for every meal. I forgot to mention the best part..look how crispy the overflow cheese gets! 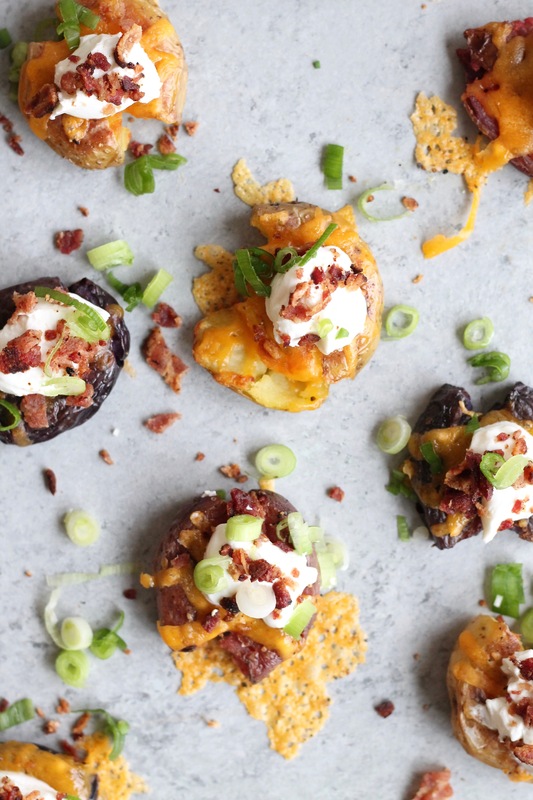 These Healthier Loaded Crispy Smashed Potato Bites taste just like a loaded baked potato but better! Instead of using sour cream, they are topped with Greek yogurt, so they're a little lighter! 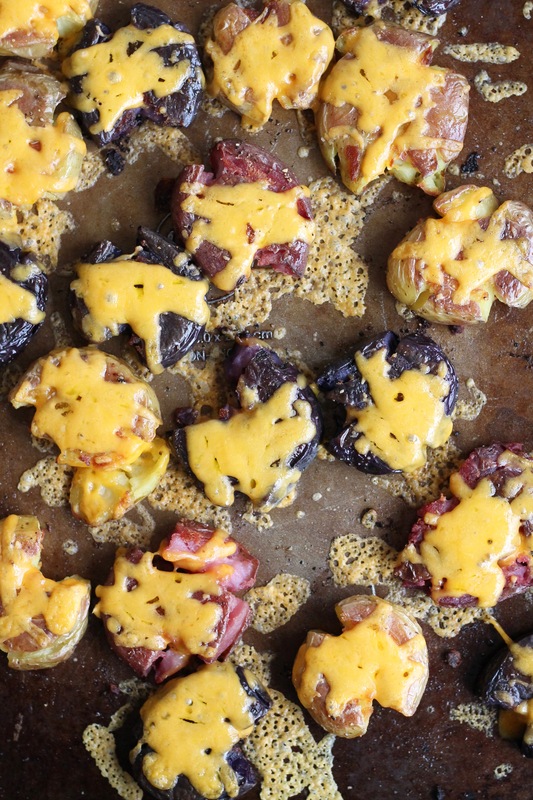 Perfect for snacking or for serving as an appetizer at your next party! Bring a large pot of water to boil. Add potatoes and cook for about 20 minutes, or until just barely fork tender. Drain and set aside. Preheat oven to 425℉. 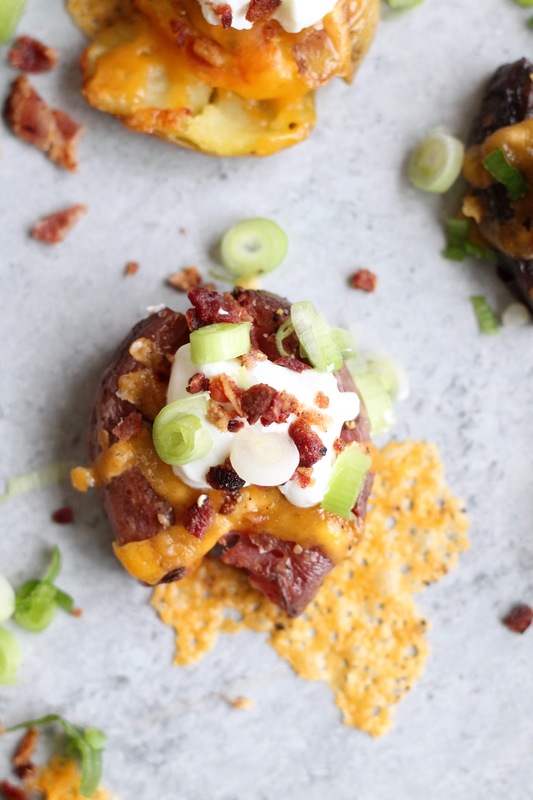 Place potatoes on a large baking sheet, and using the bottom of a measuring cup or flat-bottomed cup, gently press down on each potato, slightly smashing it into a flatter disc. 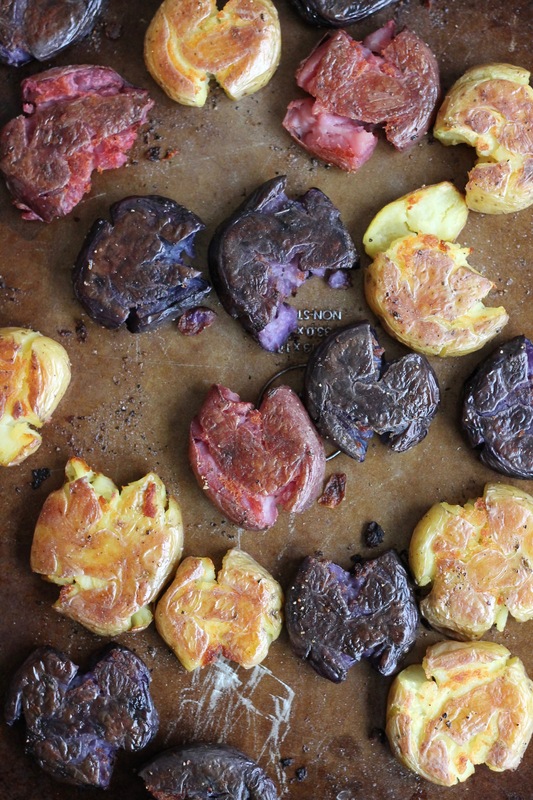 Drizzle the smashed potatoes with olive oil, and gently toss to coat. Season generously with salt and pepper. Bake for 12-15 minutes, then flip each potato and bake for another 12-15 minutes, or until super golden and crispy. This could take longer or shorter depending on your oven. I like mine SUPER crispy. Once finished, remove from oven and sprinkle evenly with cheese. Bake for an additional 5 minutes or until cheese is melted. Remove from oven and let cool slightly, then top with a dollop of Greek yogurt, the crumbled bacon, and chopped scallions. Season with extra salt and pepper if desired.